Yoğunlaştırılmış Erasmus Programı: Doktora Çalışmalarında Araştırma Yöntemleri, çeşitli ülkelerin enstitülerini temsil eden öğrenci ve öğretim elemanlarının katıldığı kısa süreli bir programdır. Programın temel amacı, katılımcı üniversitelerin doktora düzeyindeki araştırma deneyimlerini genişletmektir. Bu araştırmanın amacı, nitel araştırma hakkında uluslararası bir projeye katılan doktora öğrencilerinin bakış açılarını ortaya çıkarmaktır. İki haftalık proje süresince, katılımcılar kültürler arası etkileşim ve farklı danışmanlarla nitel araştırmaya ilişkin etkileşimde bulunmuşlardır. Bu araştırma fenomenoloji deseninde nitel bir araştırmadır. Uluslararası öğrenme fırsatı yaşamış 10 doktora öğrencisi ile yarı-yapılandırılmış görüşmeler gerçekleştirilmiştir. Görüşmeler yorumlayıcı fenomenolojik yaklaşım kullanılarak kodlanmış ve analiz edilmiştir. Araştırmada elde edilen bulgulara dayalı olarak IP’nin katılımcıların bireysel ve araştırma yöntemleri bağlamında gelişimine olanak sağladığı, IP sürecinde bireysel sorumlulukların bulunduğu ve sürecin yüz yüze etkileşime olanak sağladığı sonuçları yer almaktadır. Benzer projelerin sayısının artırılması araştırmacı ve uygulayıcılar açısından önerilmektedir. Erasmus Intensive Programme: Doctoral Studies in Research Methodologies is a shortterm study programme joining students and supervisors from various doctoral institutions representing the participants’ countries. The main aim of the programme is to enhance the experience of doctoral studies across the participating universities. The purpose of this study is to investigate the perspectives of PhD candidates who have engaged in an international doctoral project about qualitative methodology. During the two weeks project process, participants had carried out intercultural experiences and interactions about qualitative research methodological perspectives from different supervisors. This study utilized a qualitative, phenomenological design. 10 semi-structured interviews be conducted with students who engaged in international learning opportunities. The interviews be coded and analyzed using interpretative phenomenological approach. Based on the findings it was determined that IP allows participants to progress in the context of individual and research methods, there was individual responsibilities in IP process and the process allows to face to face interaction. Increasing the number of similar projects are recommended for researchers and practitioners. Åkerlind, G. S. (2008). Growing and developing as a university researcher. Higher Education, 55(2), 241-254. APEC (2010). Skills and competencies needed in the research field objectives 2020. http://www.eurocadres.org/IMG/pdf/APEC_EN_Skills_and_competencies_needed.pdf adresinden 02.02.2015 tarihinde edinilmiştir. Barrett, A. M., Crossley, M., & Dachi, H. A. (2011). International collaboration and research capacity building: Learning from the EdQual experience. Comparative Education, 47(1), 25-43. Beerkens, M., & Vossensteyn, H. (2011). The Effect of the Erasmus Programme on European Higher Education. In Reform of Higher Education in Europe (pp. 45-62). Sense Publishers. Biasutti, M. (2014). An intensive programme on education for sustainable development: the participants’ experience. Environmental Education Research, (ahead-of-print), 1-19. Boyer, E. L. 1990. Scholarship reconsidered: Priorities of the pro- fessoriate. Princeton, NJ: The Carnegie Foundation for the Advancement of Teaching. Brew, A. (2001). Conceptions of research: A phenomenographic study. Studies in Higher Education, 26(3), 271-285. Bruce, C., Pham, B., & Stoodley, I. (2004). Constituting the significance and value of research: Views from information technology academics and industry professionals. Studies in Higher Education, 29(2), 219-238. Chiang, K. H. (2003). Learning experiences of doctoral students in UK universities. Interna-tional Journal of Sociology and Social Policy, 23(1/2), 4-32. Conrad, S., & Mauranen, A. (2003). The corpus of English as lingua franca in academic set-tings. Tesol Quarterly, 37(3), 513-527. Creswell, J. W. (2012). Qualitative inquiry and research design: Choosing among five ap-proaches. Sage. Crystal, D. (1998). English as a global language. EUROPEAN REVIEW-CHICHESTER-, 6, 371-373. Declaration, B. (1999). The European higher education area. Joint declaration of the European Ministers of Education, 19. Diana, P., Maddaloni, D., Melillo, L., & Moffa, G. (2015). Teaching migration studies through collaborative learning practices in an intercultural environment: The case of the Erasmus ip sono un migrante. Procedia-Social and Behavioral Sciences, 174, 510-517. Dolga, L., Filipescu, H., Popescu-Mitroi, M. M., & Mazilescu, C. A. (2015). Erasmus Mobility Impact on Professional Training and Personal Development of Students Beneficiaries. Proce-dia-Social and Behavioral Sciences, 191, 1006- 1013. Engel, C. (2010). The impact of Erasmus mobility on the professional career: Empirical results of international studies on temporary student and teaching staff mobility. Belgeo. Revue belge de géographie, (4), 351-363. Ersoy, A. (2013). Türk öğretmen adaylarının kültürlerarası deneyimlerinde karşılaştıkları sorun-lar: Erasmus değişim programı örneği. Eğitim ve Bilim, 38(168), 154-166. Ersoy, A., & Günel, E. (2011). Cross-cultural experiences through Erasmus: Pre-service teac-hers’ individual and professional development. Eurasian Journal of Educational Research, 42, 63-78. EU Councıl (2009). Council conclusions of 12 May 2009 on a strategic framework for Europe-an cooperation in education and training (‘ET 2020’). Official Journal of the European Union. European Commision (2015) Erasmus facts, figures and trends. http://ec.europa.eu/education/library/statistics/ay-12-13/facts-figures_en.pdf adresinden 23.02.2015 tarihinde edinilmiştir. Fargion, S., Gevorgianiene, V., & Lievens, P. (2011). Developing entrepreneurship in social work through international education. Reflections on a European intensive programme. Social Work Education, 30(8), 964-980. Gibbons, M. (1998). Higher Education Relevance in the 21st Century. Goodsell, A. S. (1992). Collaborative learning: A sourcebook for higher education. Göksu, F. (2011). Bir kültürlerarası iletişim incelemesi: Erasmus Programı ile Avusturya’ya giden Türk öğrencilerin yaşantı ve beklentileri üzerine yapılan odak grup çalışması. İstanbul Üniversitesi, Yayınlanmamış Yüksek Lisans Tezi, İstanbul. Gudykunst, W. B. (2000). Methodological issues in conducting theory-based cross-cultural research. Culturally speaking: Managing rapport through talk across cultures, 293-315. Higgins, R., Robinson, L., & Hogg, P. (2014). An evaluation of the student and tutor experi-ence of a residential summer school event (OPTIMAX). Radiography, 20(4), 363-368. Ingerman, Å., & Booth, S. (2003). Expounding on physics: A phenomenographic study of physicists talking of their physics. Int. J. Sci. Educ., 25(12), 1489-1508. James, C. (2013). Enhancing the QLD: internationalisation and employability: the benefits of Erasmus Intensive Programmes. The Law Teacher, 47(1), 64-82. Jones, H. C. (2005). Lifelong learning in the European Union: whither the Lisbon Strategy?. European Journal of Education, 40(3), 247-260. Karakaş, A. (2012, May). English As A Langua Franca: Practices Of Academics in A Turkish University. In Fifth International Conference of English as a Lingua Franca. Karakütük, K. (2002). Öğretim üyesi ve bilim insanı yetiştirme: Lisansüstü öğretimin planlan-ması. Anı Yayıncılık. Kasapoğlu-Önder, R., & Balcı, A. (2010). Erasmus Öğrenci Öğrenim Hareketliliği Programının 2007 Yılında Programdan Yararlanan Türk Öğrenciler Üzerindeki Etkileri. Ankara Avrupa Çalışmaları Dergisi, 9(2), 93-116. Keeling, R. (2006). The Bologna Process and the Lisbon Research Agenda: the European Commission’s expanding role in higher education discourse. European Journal of Education, 41(2), 203-223. Kotzabassaki, S., Alabaster, E. S., Larsson, U., & de Vree, W. (2003). Care of older people in nursing homes: an Intensive Programme as an educational activity within Erasmus–Socrates. Nurse education today, 23(2), 138-145. Krzaklewska, E., & Krupnik, S. (2008). The role of the Erasmus programme in enhancing intercultural dialogue. Presentation of the results from the Erasmus student network survey 2007. Ljosland, R. (2011). English as an Academic Lingua Franca: Language policies and multilingual practices in a Norwegian university. Journal of Pragmatics, 43(4), 991-1004. Morrow, S.L. (2005). Quality and trustworthiness in qualitative research in counseling psy-chology. Journal of Counseling Psychology, 52, 250-260. Odabaşı, H. F., Fırat, M., İzmirli, S., Çankaya, S., & Mısırlı, Z. A. (2010). Küreselleşen dünya-da akademisyen olmak. Anadolu Üniversitesi Sosyal Bilimler Dergisi, 10 (3), s. 127 -142. Onwuegbuzie, A. J. (2000). On Becoming a Bi-Researcher: The Importance of Combining Quantitative and Qualitative Research Methodologies. Özdem, G. (2013). Yükseköğretim Kurumlarında ERASMUS Programının Değerlendirilmesi (Giresun Üniversitesi Örneği). Kuram ve Uygulamada Eğitim Yönetimi Dergisi, 19(1), 61-98. Papatsiba, V. (2005). Student mobility in Europe: An academic, cultural and mental journey? Some conceptual reflections and empirical findings. International Perspectives on Higher Ed-ucation Research, 3, 29-65. Pépin, L. (2007). The History of EU Cooperation in the Field of Education and Training: how lifelong learning became a strategic objective. European Journal of Education, 42(1), 121-132. Seidlhofer, B. (2005). English as a lingua franca. ELT journal, 59(4), 339. Smith, J. A., Flowers, P., & Larkin, M. (2009). Interpretative phenomenological analysis: Theory, method and research. Sage. Süngü, H. ve Bayrakçı, M. (2010). Bolonya süreci sonrası yükseköğretimde akreditasyon çalışmaları. Türk Eğitim Bilimleri Dergisi, 8(4), 895-912. Şimşek, H., & Yıldırım, A. (2011). Sosyal bilimlerde nitel araştırma yöntemleri. Seçkin Yayıncı-lık, Ankara. Tashakkori, A. & Teddlie, C. (2003). Issues and dilemmas in teaching research methods cours-es in social and behavioral sciences: a US perspective. International Journal of Social Re-search Methodology 6(1): 61–77. Teichler, U. (2001). Changes of ERASMUS under the umbrella of SOCRATES. Journal of Studies in International Education, 5(3), 201-227. Vural, S. M., Polatoğlu, Ç., & Griffith, L. A. (2013). Learning with different cultures in high education; an LLP Erasmus intensive programmed “Cultural Layers of Public Space”. Proce-dia-Social and Behavioral Sciences, 89, 418-421. 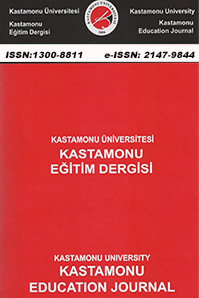 Yağcı, E., Ekinci, C. E., Burgaz, B., Kelecioğlu, H., & Ergene, T. (2007). Yurt dışına giden hacettepe üniversitesi erasmus öğrencilerinin memnuniyet düzeyleri. Hacettepe Üniversitesi Eğitim Fakültesi Dergisi, 33(33). Yıldırım, A. ve Şimşek, H. (2013). Sosyal bilimlerde nitel araştırma yöntemleri (9. Baskı). Ankara: seçkin. Yücel, M. S. (2013). Language and Cultural Experiences of German Language Pre-service Teachers within ERASMUS Programme. Ankara University, Journal of Faculty of Educa-tional Sciences, 46(1), 23-47. Yükseköğretim Kurumu. (2007). Türkiye'nin yükseköğretim stratejisi. 25 Şubat 2016 tarihinde http://www.yok.gov.tr/documents/10279/30217/yok_strateji_kitabi/27077070-cb13-4870-aba1-6742db37696b adresinden erişilmiştir. Zufic, J., & Cvilinder, H. (2013, May). ICT learning experience in the multilingual and multicul-tural environment of ERASMUS IP TAARLoG project. In Information & Communication Technology Electronics & Microelectronics (MIPRO), 2013 36th International Convention on (pp. 616-621). IEEE. ISNAD ERSOY, Ali , ÖNCÜL, Bilal . "Araştırma Yöntemleri Denizinde Yüzmek: Doktora Öğrencilerinin Erasmus Yoğun Program (IP) Deneyimleri". Kastamonu Eğitim Dergisi 25 / 3 (May 2017): 1203-1220.